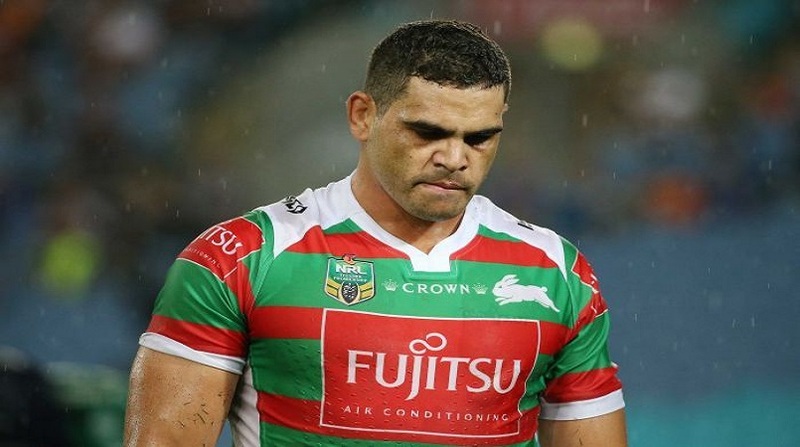 Australian Kangaroos coach Mal Meninga says the fan who allegedly racially abused South Sydney centre Greg Inglis during Saturday's match against Penrith should be banned for life. "I reckon Greg will be hurting, and I applaud him for his actions and hopefully they find the perpetrator and kick him out for life. "It does make me angry because you know how much effort he [Inglis] puts in to the recognition of Aboriginal people and the work he does around the game." NRL chief executive Todd Greenberg personally reached out to Inglis yesterday to reiterate that the game will not tolerate racism. "I wanted to make sure he realised that, that's not the game, that's not what rugby league stands for and he knows that," Greenberg said. "He's got faith in us to do what's right and we will do that if we can find that person, and as I said, Penrith have spent a lot of time dealing with CCTV footage." Greenberg would not confirm a potential life ban for the person involved but did say the NRL will "throw the book at them". "It is one person, but it is one person too many," he said. "The message is simple, we don't tolerate that sort of behaviour and nor does the community. "We will do everything we can to make sure that person is not welcome inside the game." Inglis has been at the centre of a number of race-related incidents in the past. In 2013 he was the victim of a racial attack on a social media website, while in 2010 former New South Wales winger Timana Tahu walked out of State of Origin camp after hearing then assistant coach Andrew Johns use a racist slur to describe Inglis.